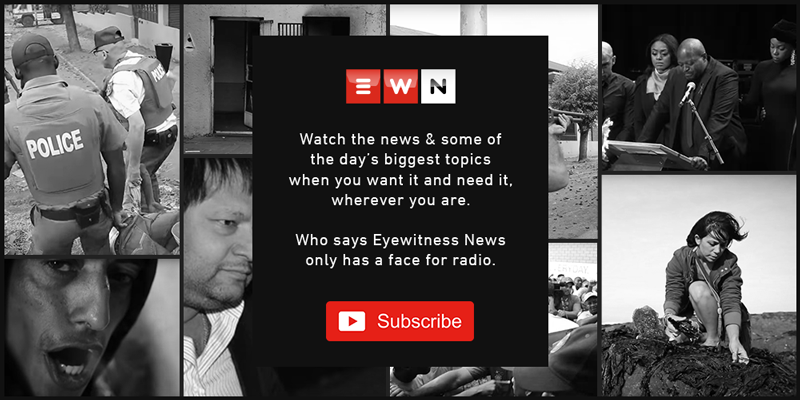 EWN Lifestyle brings you all the fun things to spice up your Valentine's Day this year and create everlasting memories either with your partner or as a singleton. CAPE TOWN/JOHANNESBURG – Ditch the flowers, chocolates and cheesy candlelit dinners... and think kitesurfing, bike rides, helicopter rides, comedy shows and a silent beach party. EWN Lifestyle has got it all figured out to help you create everlasting memories for the big day. So, if you’re unsure on how to spoil your significant other then look no further. Below is the “ultimate NOT BORING list “of things to do for both loved up couples and singletons here in Cape Town and in Johannesburg. Capetonians who’re in love or flying solo can head to Clifton 3rd beach for a dance party with a twist. Ever heard of a silent disco? A dance event where you hear music through headphones, which pick up a unique UHF frequency, instead of loudspeakers. 2. How about a scenic helicopter ride? Take your relationship to another level. Say I love you in the sky with a scenic flight along the Atlantic Coast viewing famous spots like the Cape Town Stadium, the 4 Beaches of Clifton, Camps Bay and the Twelve Apostles. You can also swing around Karbonkelberg. Place: 220 East Pier, Breakwater Edge, V&A Helipad. 3. Did anyone say kitesurfing? Here’s something a little different: pedal along the Promenade all the way to the shopping and dining mecca of the Waterfront, you can also explore the CBD. Perfect for a first date. If you live around Johannesburg north and you want an exquisite experience on your Valentine’s Day night, then Le Wine Chambre wine bar, based in Illovo, is your perfect spot. It’s an impeccable, first-class dining experience through its unique tapas menu, coupled with a selection of fine boutique wines and champagnes from all over South Africa and internationally. Sakhumzi Restaurant in Soweto is right on Vilakazi Street, the only street with two Nobel Peace Prize winner in the whole world. Sakhumzi has a reputation for myriad fun occasions, strolling up and down to see the beauty and some historical monuments. So, for a nice early night Valentine’s date, this will be a perfect spot for you. It’s a restaurant with true kasi flavour. The music is good too. Pata Pata is a 1950s-style diner offering gourmet meals with a nice blend of music. It’s open all day and for dinner, but it does add a little bit of flavour on Valentine's. Diners have an opportunity to create their own pizzas and there’s a good selection of cocktails served in jam jars. Expect a concise menu from fresh, seasonal and locally sourced ingredients. Sink your teeth into a plate of nachos with salsa and smashed avo or go for the tortilla chips with a hot artichoke-and-jalapeño dip. You will find an impressive double bourbon cheeseburger comprising two juicy patties and a double serving of melted mozzarella. Serious carnivores will delight in sticky ribs in a home-made barbecue sauce, chipotle rotisserie chicken or chimichurri dry-aged sirloin steak. For vegetarians, there’s a barbecue wild mushroom skewer or a side of comforting mac and cheese. End with chocolate brownies or apple pie. This is the perfect on-the-budget spot for everyone. There’s a comprehensive menu of French regional dishes on offer. You should seriously consider selecting from chef patron Robert Baxa’s mouth-watering rundown of the day’s specials. Perhaps a duck salad starter with crisp duck skin morsels on lettuce topped with a perfectly poached egg, or mussels marinière in a delicate white wine sauce. Follow up with a piping hot cassoulet of simmered Toulouse sausage, confit duck, lamb and haricot beans in the traditional earthenware pot. The fish of the day or a selection of starters will satisfy vegetarians. If you have the patience to wait a few extra minutes, end your meal with a perfect puffed cloud of soufflé au citron. NB: On the Jozi list, please include what time these places open (and when - if necessary) and maybe get a picture of an outdoor movie setting or kite surfing.